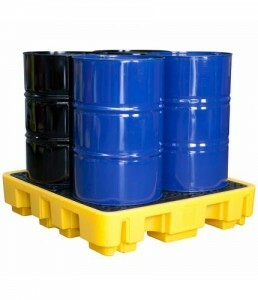 This SAFE-T-BUND® Polyethylene 4 Drum Bund provides storage and decanting of up to 4 205lt drums and satisfies all environmental protection requirements. A tough and durable solution that features an easy to clean exterior and a stackable design for easy storage when not in use. The SAFE-T-BUND® range contains many other configurations to suit your needs.